We have been unplugged since the New Year focusing on our little family and its been SO great and so very needed! 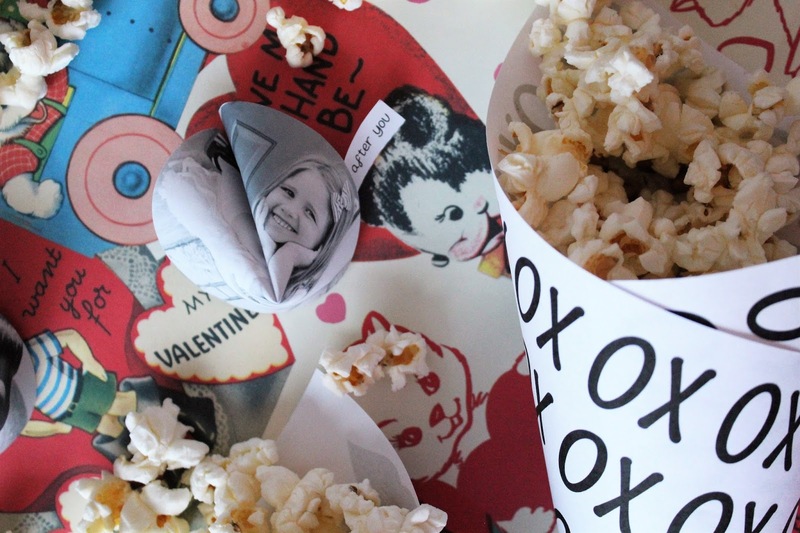 I am excited to share with you a little DIY Valentine's for your little people at home or a fun girl's night watching the Bachelor! :) This year we will be on a boat in the Caribbean for Valentine's Day so I'm thinking of spreading a little love for my baby babes before we leave. 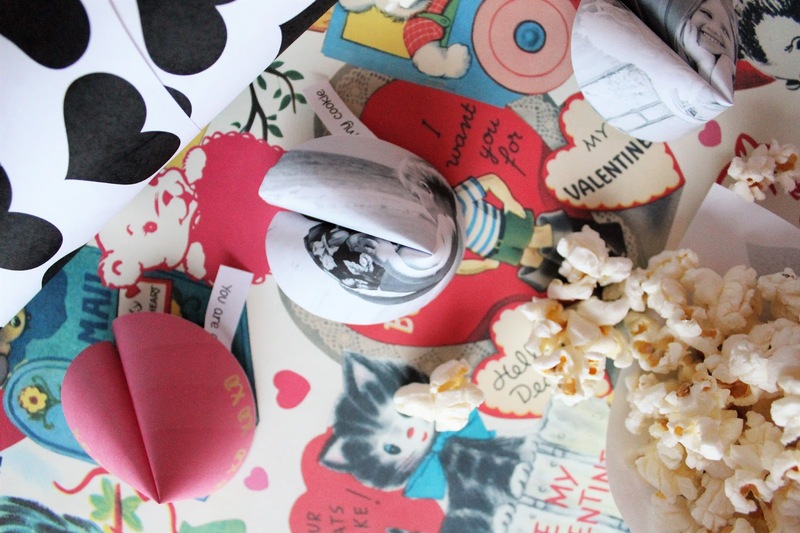 Of course Pinterest is filled with everything you need for a fun Valentines and I got some major inspiration here and here for this easy DIY! The fortune cookies literally stole my heart! 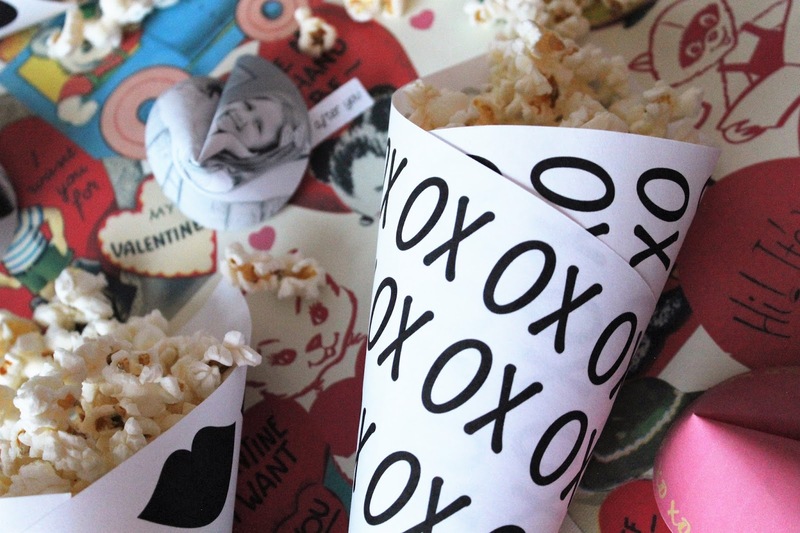 They are so easy to make and you can personalize the message. So fun! I decided to use pictures of my little sweethearts filled with Mama love notes! Adie literally rocks our world every day and I cannot get enough of her giggly stories. Aden is wild! But we love his guts completely and Eric and I are always telling each other that we have like the best kids ... EVER! ;) You can really personalize your fortune cookies which I love, a box of these to the Grandparents would be the best. Filled with little memory messages that would brighten any day. So easy, all I did was use my favorite site for creating, PicMonkey and uploaded a picture. Set it to black and white (under effects), used the round shape cutouts (under frames) and saved it to my computer to print. Follow the instructions here and you have the cutest fortune cookies. A little helpful tip: when making the crease for your fortune cookie, really make it a good one, it helps for folding. 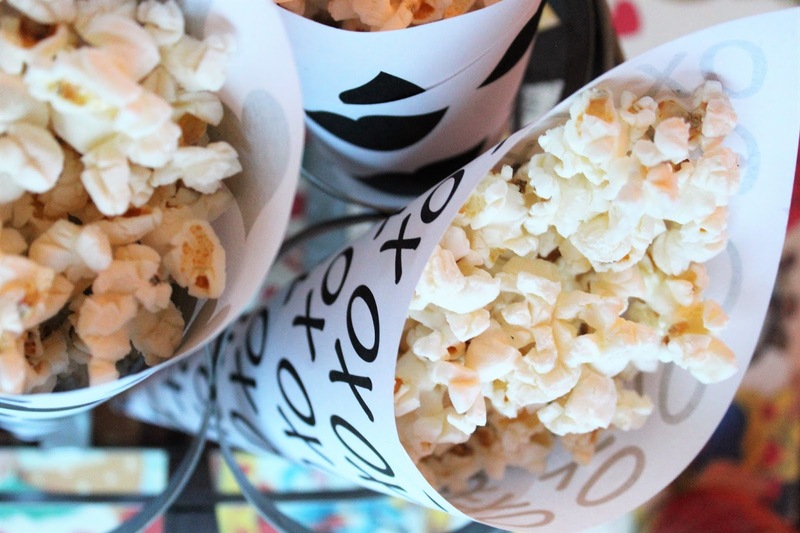 We love popcorn at our house and this is a fun way to share it with those you love all month long! 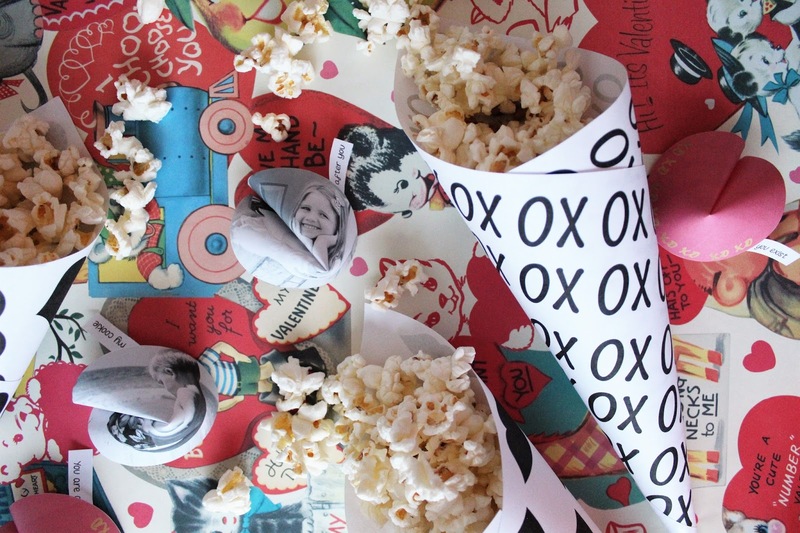 Print any of these or all three, wrap it into a cone, add a few pieces of tape and fill with your favorite popcorn. 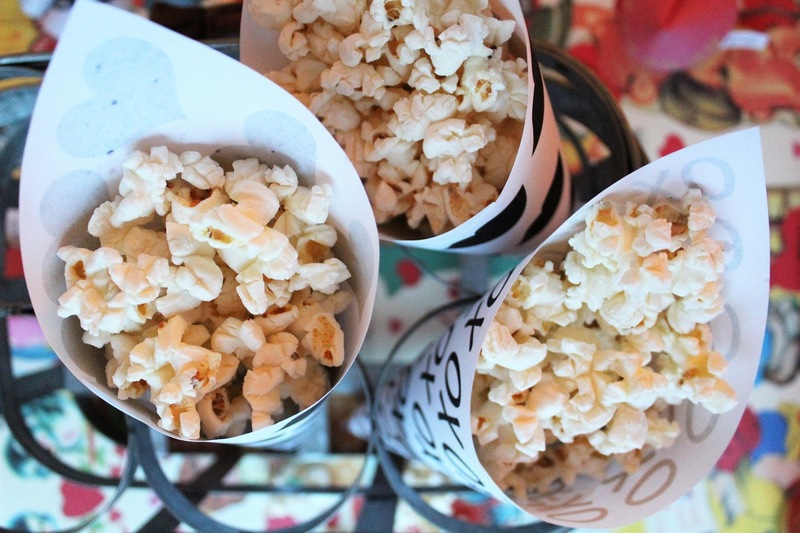 For a girl's night you could have different flavors like butter, salted only, white cheddar popcorn (my favorite) and kettle corn to have a variety watching the Bachelor. Which I fell asleep catching up ... so I still need to see what crazy went on. I gave one to Aden and he ate some, gave some to teddy and then chucked it on the floor and kept saying, "UH-OH! UH-OH!" He makes me crazy but I am so crazy about him. So simple and so stinking cute.